Rite Aid Black Friday 2016 Ad & Deals Released! Rite Aid has released their Black Friday 2016 Ad early this year. The store will be open from November 24th through November 26th for 3 days of Black Friday Deals! The ad also mentions that most stores will be open on Thanksgiving Day in case you need a break from the family and want to get away to do some shopping. 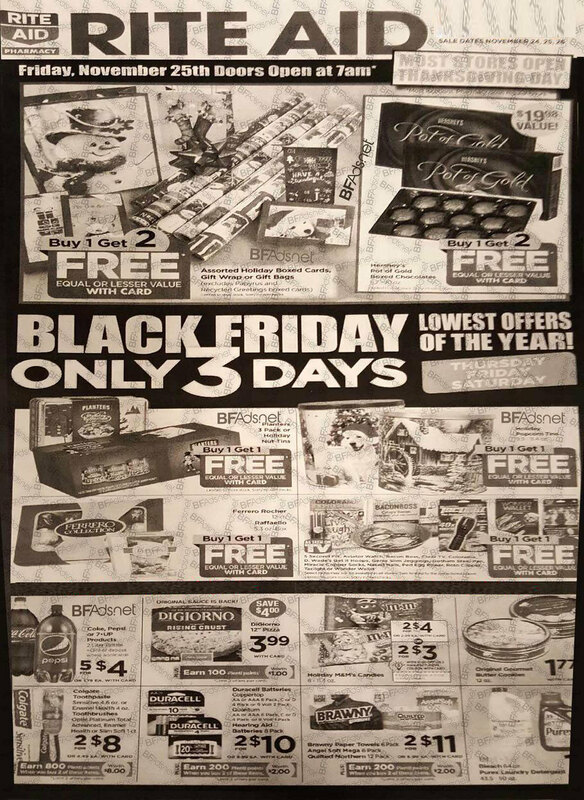 Check out the complete scan of the Rite Aid Black Friday 2016 Ad.